SIOUX FALLS, S.D. - Vice President Mike Pence is headlining a rally for Republican Kristi Noem in western South Dakota to close out the state's surprisingly competitive race for governor. Democratic candidate Billie Sutton had Monday events planned in Sioux Falls and surrounding cities as part of a statewide tour started last week. The candidates were making their final arguments during the last full day of campaigning before Tuesday's election. Noem's Rapid City rally with Pence will also feature Sens. Lindsey Graham and Cory Gardner. 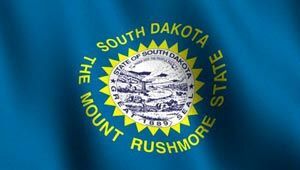 Sen. John Thune was to hold events for Noem in eastern South Dakota. In the U.S. House race to succeed Noem, Republican front-runner Dusty Johnson had stops set in western South Dakota including the Pence event. Democrat Tim Bjorkman was capping his campaign with a Sioux Falls rally. Monday morning, Johnson swung through Sturgis, stopping at Weimer's Doughnuts to meet with people. "People are telling me about the national debt and that we don't yet have a Farm Bill done. But, we're closing this race strong, and I think peole understand we got the engery to tackle those things and they appreciate the fact we're talking about solutions." Johnson told KBHB that he plans to spend the night in Western South Dakota, and campaign in Rapid City Tuesday morning before heading back to his home town of Mitchell and finally Sioux Falls for election night.